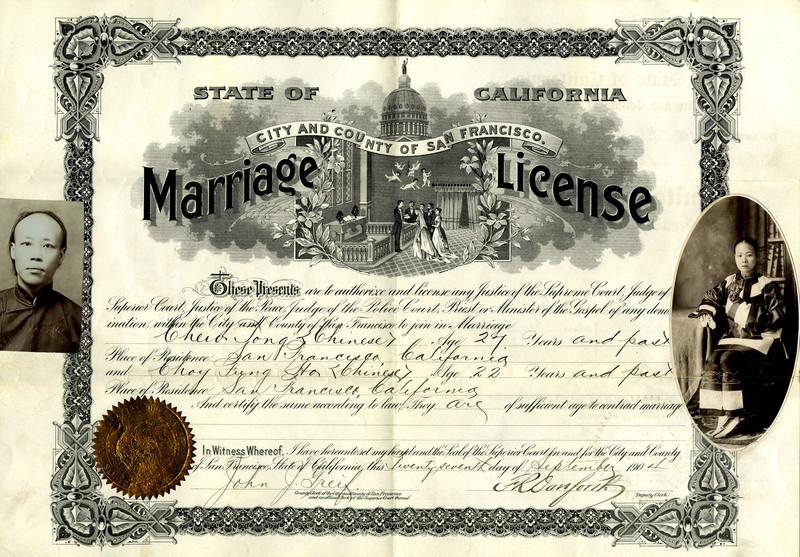 “Chew Tong & Choy Fung Ho Marriage License,” 27 September 1904, #E1171, Liber 134, page 250; Chinese Exclusion Act case files, RG 85, National Archives-Seattle, Portland file, Box 37, Case 1006/48, Chew Tong & Choy Fung Ho. This is the official version recorded on 28 September 1904, City and County of San Francisco, State of California. 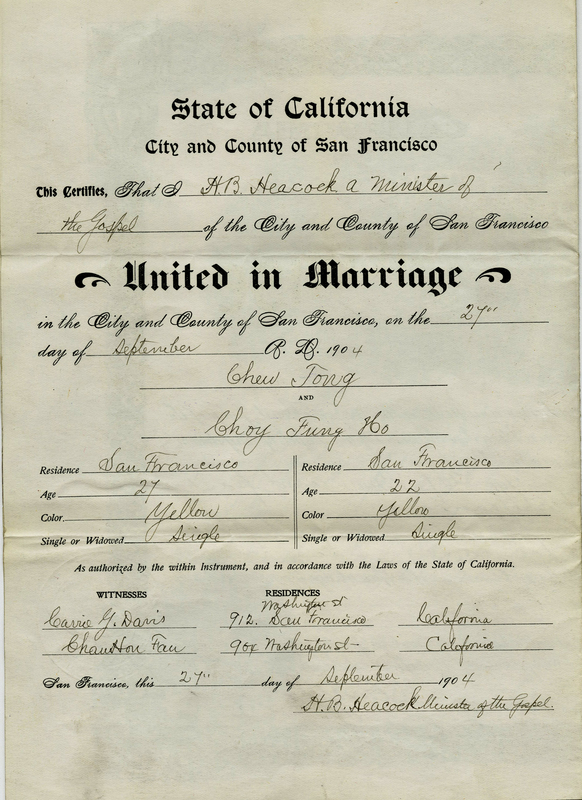 “Chew Tong & Choy Fung Ho Marriage License,” 27 September 1904; Chinese Exclusion Act case files, RG 85, National Archives-Seattle, Portland file, Box 37, Case 1006/48, Chew Tong & Choy Fung Ho .